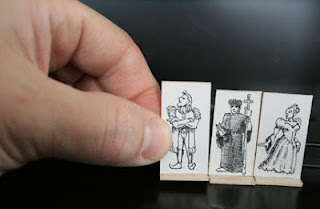 Back in my college days, we were all too poor to afford decent miniatures for our RPG game. We used whatever we could, and -- being an art student -- I was tasked with making some minis. For some unknown reason, in the intervening twenty years, those cardboard minis got stored away with my Christmas decorations. I see them every year, and go "Oh, look at these!" then put them away again 'til next year. But this year I took 20 minutes to photograph them, and I now post them here for your viewing amusement. As you snicker, bear in mind that these were created by hand with a finepoint pen, and each is no larger than about 1 inch high. They were a blast to do, trying to come up with generic characters that would still have some personality readable at a small scale. 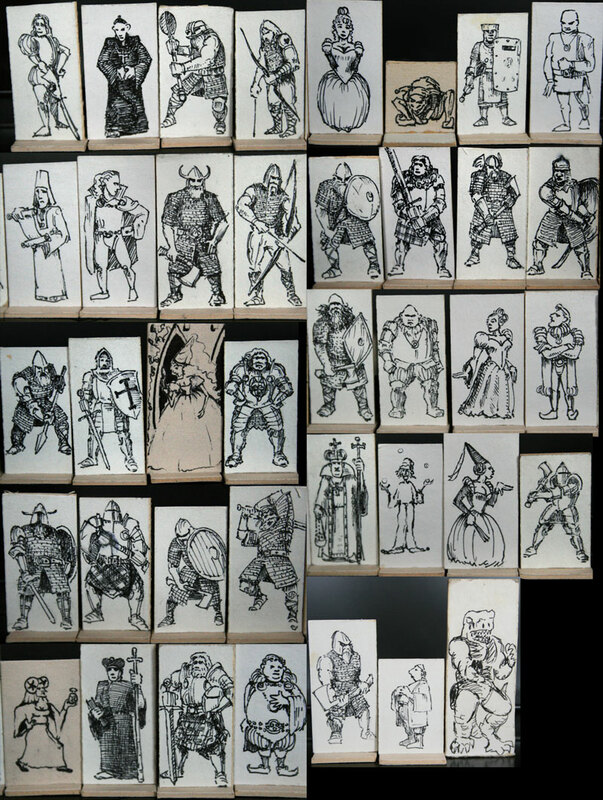 My work draws inspiration from the high-fantasy style of classic D&D illustrations, with a dash of comic book. I try to inject my figures with personality and humor, and always look for an offbeat take on a subject. I'm typically available for commissions of any size, so feel free to contact me! 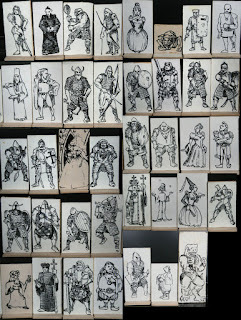 Exhaustive collection of character concept art for games. A must see. The Art of Corrado Vanelli. Stunning. Cool website that accepts designs, lets people vote on them, and creates toys out of the popular ones. Russian illustrator from early 1900's. Don't know his work? Then stop not knowing it and gawp in amaze at his awesomeness. Foundation skills on a webpage. Copyright 2010, Nicholas Avallone. Awesome Inc. theme. Powered by Blogger.